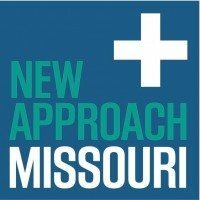 Over 60% of Missouri voters support the legalization of medical cannabis and hard-working activists at New Approach Missouri seemingly gathered enough signatures to place a medical measure on the 2016 ballot. Unfortunately, more than 10,000 signatures were disqualified in the 2nd congressional district, leaving the campaign just over 2,000 valid signatures short. New Approach Missouri will now take the political fight to the courts, hoping that voter intent will prevail. As someone that has had to sweat out a couple of successful signature gathering efforts in both Oregon, I feel for these activists, and the patients and concerned citizens that are hoping to have medical cannabis on the ballot this year. Missouri’s signature gathering requirements are rather strenuous, forcing campaigns to collect so many signatures in several congressional districts. Oregon, in contrast, simply relies upon a bulk number of signatures, not mandating that signatures come from different areas of the state. Here’s hoping that Missouri courts will see that this medical measure does indeed belong on the ballot, for the sake of thousands of sick and disabled Missourians that would benefit from medicinal cannabis. As a campaign supporter, I wanted you to hear this important campaign update directly from me. We announced today that we will go to court this month to overturn invalidated signatures, so that our medical marijuana measure can appear on the November ballot in Missouri. Multiple ballot initiative campaigns have successfully gone through this effort to get back on the ballot over the last decade in Missouri. An initial review of signature totals from the six congressional districts we collected this Spring shows that the campaign currently has more than enough valid signatures in every district, except for Missouri’s second congressional district. In that district, which is made up of parts of Jefferson, St. Charles and St. Louis counties, local election authorities invalidated approximately 10,700 signatures, leaving the campaign roughly 2,200 short of the 32,337 signatures required in that district. We don’t believe the local election authorities in this district unnecessarily invalidated these signatures out of malice, but rather the errors were made by overworked staff and temporary employees that are brought in to handle the validation process for this year’s five initiative petitions. Recent polling indicates that if the initiative is on the November ballot in Missouri, it is likely to pass. A poll released July 15 from the national Public Policy Polling showed that 62% of Missourians would vote yes on the initiative, compared to only 27% that were opposed. Likewise a poll from the Marijuana Policy Project conducted July 25-27 showed that Missourians support the initiative by a margin of 66-27%. The proposal would allow only state licensed physicians to recommend medical marijuana to patients with cancer, epilepsy, PTSD, multiple sclerosis, Alzheimer’s, spinal-cord injuries and other serious or debilitating medical conditions. The state would license and regulate those who are allowed to cultivate and dispense medical marijuana. The measure would maintain the prohibition of marijuana use in public and operating a motor vehicle under the influence of marijuana. Under the proposal, medical marijuana sales would be taxed at 4%, which is estimated to generate roughly $20 million annually for veterans’ health care services in Missouri. Anthony, a longtime cannabis law reform advocate, was Chief Petitioner and co-author of Measure 91, Oregon's cannabis legalization effort. He served as director of both the New Approach Oregon and Vote Yes on 91 PACs, the political action committees responsible for the state's legalization campaign. As director of New Approach Oregon, Anthony continues to work towards effectively implementing the cannabis legalization system while protecting small business owners and the rights of patients. He sits on the Oregon Marijuana Rules Advisory Committee and fights for sensible rules at the legislature as well as city councils and county commissions across the state. Anthony helps cannabis business comply with Oregon's laws and advises advocates across the country. He also serves as content director of both the International Cannabis Business Conference and the Oregon Marijuana Business Conference, helping share the vision of moving the cannabis industry forward in a way that maintains the focus on keeping people out of prison and protecting patients. He was a member of the Oregon Health Authority Rules Advisory Committee, assisting the drafting of the administrative rules governing Oregon’s state-licensed medical marijuana facilities. He first co-authored and helped pass successful marijuana law reform measures while a law student at the University of Missouri-Columbia School of Law. He passed the Oregon Bar in 2005 and practiced criminal defense for two years before transitioning to working full-time in the political advocacy realm. His blogs on Marijuana Politics are personal in nature and don't speak for or reflect the opinions of any group or organization. What Does Donald Trump Think of Marijuana Legalization?